If you're anything like me, you feel really good after running around the block a few times, but really have to psych yourself up to do it. 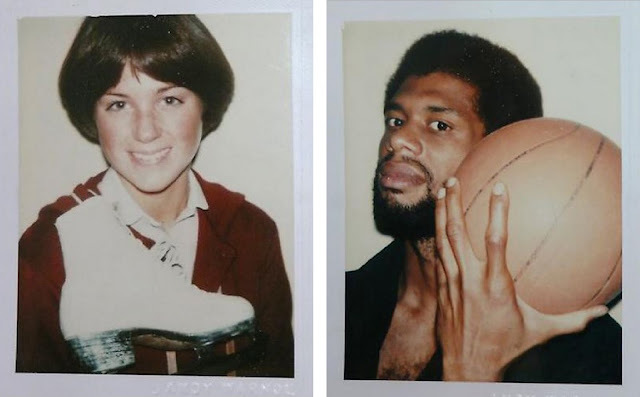 I recently came across these Polaroids of athletes taken by Andy Warhol with a Big Shot camera, and they filled me with a sweet nostalgia for gym class, to the point where I felt like doing some jumping jacks or arm circles or any of those hilarious old school moves. I love the tones, and I especially love the Wayne Gretzky picture -- he was a childhood hero of mine despite my tremendous dislike of hockey (hearing the theme song to Hockey Night in Canada usually meant that I would not have a choice in what was on television in our one-set home). If you lack any sort of inner jock, maybe these images won't help -- but at least they're pretty cool. Jane Flanagan, Michelle of The Feather Den, Una, Natalie Suarez: Thank you! danielle and dinosaur toes: I wish you could, too! christie: Thanks, buddy! I added it. Anna: It is so frustrating! I think I'm done now, though. yulia: Let's say it was about a third of what it would have been originally. I got lucky. Kate: The aisle seat is kind of awesome in its own way. Maybe I'll bring a dip dyed tote with me! I can be like Santa Claus. Madeline: Cool, thanks for the link! One Little Star: Sure! Feel free to email me. Elise / broom people: I love it! I'm going to read the book soon, I think. MissQuiteContrary: Ha! Oh, I don't much like flying. I used to love it, but not any more, although I do still think it is a modern wonder. It would be nice to see you in Hamilton! hila: What's your new one? My regular Tumblr is a bit ridiculous with images these days. Just any ol' thing that appeals to me. andrea: Oh yes, please come! Morgan Ashley Allen: Nice! That is such a sweet idea. oaklandetsuko: Cool, thanks for the link! tara-lynn: I think a spiked punch will be absolutely necessary. Don't be nervous! It's going to be great. erica-knits: Just take the GO bus to Hamilton! So easy! Caitlin Rose: It would be nice to see you there. Joannah: Ha! I think it comes from traveling as a little kid: my mom always insisted I wear a nice new outfit on the plane. ilovesasek: Oh, amazing! I'll be so happy to meet you. i like these images though nothing can make me nostalgic for gym class. These are wonderful! 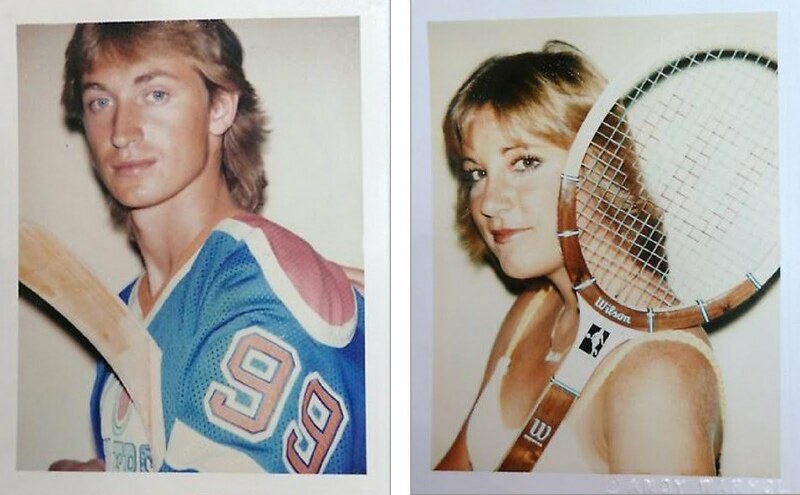 I had a crush on Wayne Gretzky too. And I didn't even watch hockey! yeaaaah! these are so lovingly cheesy... if that makes sense. they just all look so intimate yet posed. wayne is super fresh faced. i remember arm circles! ah, the 80s and silly aerobic exercises. Haha! I agree with Zoe, #99 is lookin' fressshhh. "99 is lookin fressshhh" and Xanaduuuuu - love it. My Dad and brother played hockey and I was dragged to every game. Dad is a huge Gretzky fan so I did get to oogle at him lots. oh my gosh! that picture of dorothy hamill is adorable. haha, I dreaded the hockey night in canada sound! and it still makes me cringe. When I was a kid I had an exercise outfit complete with matching sweater & leg warmers. I'd do my "Let's Get Physical" routine to anyone who'd watch! Regarding the photographs, if they were a little wider in format they could be Terry Richardson shots! I wonder how much Warhol influences him. Oh wow, another Canadian who doesn't really care for hockey! Haven't met too many others, I must say. 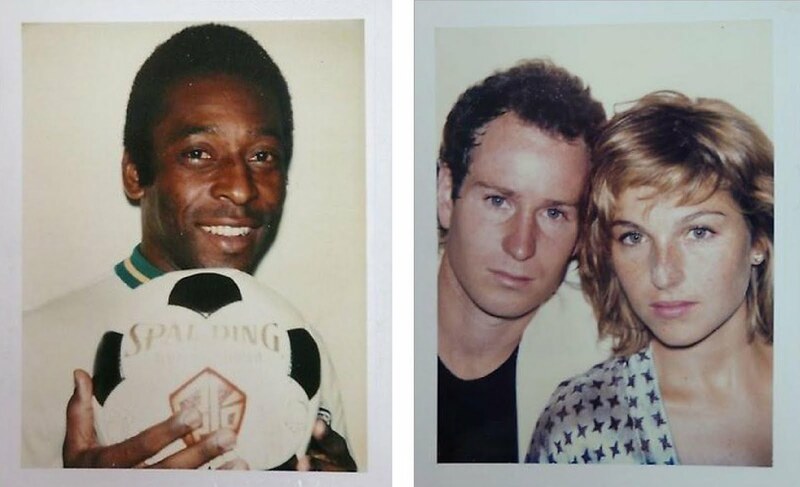 In any case, the photos are great. I feel proud to have recognized all the faces, since I'm usually completely out of the loop when it comes to even the most basic sports knowledge. I like Kareem's peeping chest hair. Look at how big his hand is. Thanks for the eye candy. Gretzky is a great hero. I too had my childhood Saturday nights taken over by hours of HNIC. But living in metro Detroit, this program was hours of insight into a similar yet totally different wonderful world of Canada! I managed to bond with my mother over hockey and still watch the show. These photos are a nice memory of fresh faces, unaltered by plastic surgery. Thanks for sharing, I am ready to hit the gym. Um, YES. Gretzky is such a legend! That photo almost makes up for his really, really terrible SNL performance back in the day. priceless! although i'm still too lazy to work out..
That cute pic of Gretzky is almost enough to make me like hockey. Almost. Tatum O'Neal kills it! And Dorothy Hamil looks like a total sweetheart. Tatum O'Neal was, and still is, gorgeous. Great post! OMG! I love these!! Such great portraits!! these are awesome!!! i feel the same way about working out. i need to do it today. maybe these people will inspire me. what usually inspires me is knowing i will feel 10x better after. That picture of Dorothy Hamill is awesome. My mom had the same haircut!